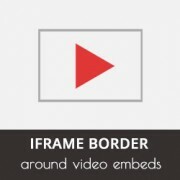 Do you want to add an iframe border around your video embed? 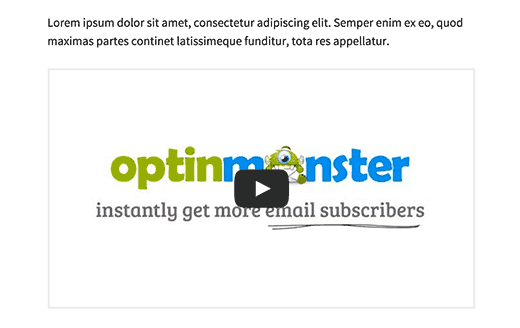 Recently a user asked us for a way to add a border around their videos in WordPress. Since you can use both iframe and oEmbed to add videos in WordPress, we will show you how to add an iframe border around a video embed as well as how to add a border around oEmbed videos in WordPress. Simply change the width of the border as well as the color, and you’re done. While adding an iframe border works, there is actually a better way to add a border around videos in WordPress. That’s by using oEmbed. Now that you know how to add a video with oEmbed, here is how you can add a border around oEmbed videos in WordPress. If you want to add a same border around all video iframes, then it would be best to add a CSS class to your theme’s stylesheet. The benefit of using a single CSS class is that if you change themes later, then you can easily change the colors with one click vs going back and editing each video individually. 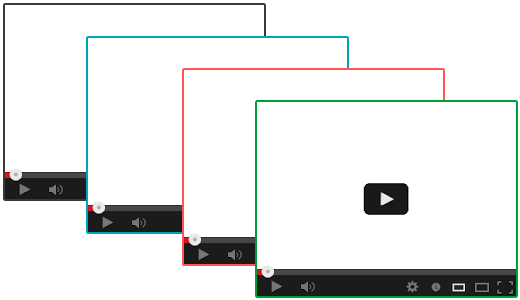 We hope this article helped you add an iframe border around a video embed in WordPress. You may also want to see these 9 useful YouTube tips to spice up your WordPress site with videos. There seems to be extra space at the bottom so it doesn’t fit exactly, how can I fix this please. If you’ve set the width and height you would likely need to change the height based on the dimensions of your video. The frame covers the video controls, how do i stop this happening? Cheers. I have got the border but can’t change the colour? How do I do this? Change the hex number Tom. For Dodger blue use: #1E90FF in place of #EEE. You can find hex colors here.